Jeremy Rosenblatt serves as Managing Director of Strategic Projects and Head of Systems and Software for Voleon, and he is based in Berkeley, CA. His career includes leadership roles in the technology industry, where he has held the roles of CTO, CIO, and COO. Mr. Rosenblatt’s career includes roles as CTO of both StubHub (acquired by eBay) and AskJeeves (acquired by IAC). After AskJeeves, Mr. Rosenblatt was Vice President of Operations for Nanomix, a leading nano-electronic detection company. He then went on to work as CTO for the Office of Development and Alumni Association at Stanford University, where he was responsible for strategic planning and day-to-day operations, ranging from data mining to social media. 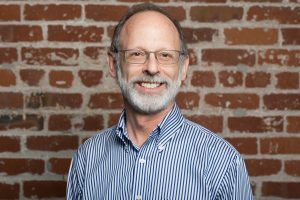 Following his work at Stanford, Mr. Rosenblatt was CTO for Mortgage Resolution Partners (MRP) and served as a technology consultant and outsourced CTO for stealth-stage startups. Mr. Rosenblatt holds a BS in Electrical Engineering and Computer Science from University of California, Berkeley.